Banff – Art-Eco Lifestyle Hotel offers the best mountain views due it’s exclusive location at the base of Mount Norquay, only 2 kms from downtown Banff. This designer hotel features fifty-two accommodations including chalets with kitchens and king jacuzzi suites. Free wireless, bike rentals, outdoor hot tub and full service Bistro, Lounge and Patio. 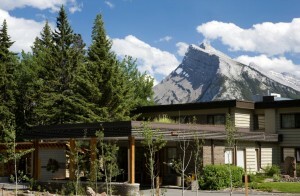 The Juniper is Banff’s only 100% clean energy hotel and is a leader in environmental initiatives. The Mount Robson Inn in Jasper National Park is a landmark Jasper hotel that boasts spacious rooms and suites, ski shuttle service, two outdoor whirlpools, and high speed Internet access. The on-site Mount Robson Steakhouse offers both breakfast and dinner menus. 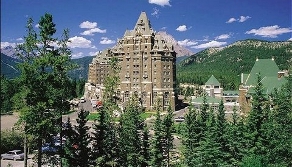 Make your getaway perfect by booking your room at one of Jasper’s finest hotels. For all your Jasper Accommodations needs, check out these top resources. We provide the best deals for all Jasper hotels, motels, lodges, cabins, and resorts. We are here to help you experience Jasper National Park at its best! Jasper Hotels & Lodges In town!